Monday, APRIL 22, 2013 (apr22.htm) Daily issue of the DailyCatholic, a Traditional Catholic publication dedicated to perpetuating the One True Faith and preserving the Traditional Latin Mass in this time of the Great Apostasy by upholding the sedevacantist syllogism in order to Save All Necessary Catholic Traditions in the United States (SANCTUS) and preserve the Truths and Traditions of the Church founded by Jesus Christ upon the Rock of Peter. 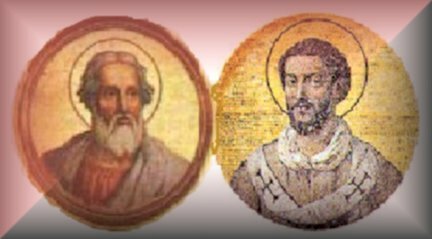 Today we observe the feast of two holy martyrs who were both Sovereign Pontiffs Pope St. Soter and Pope St. Caius. Just click on the Missal above left or immediately below for their particular Proper for the day. Just as they died for their Faith and would not offer incense to the pagan Roman gods nor compromise one iota, they could have told you, as every saint has, as God Himself has in Divine Revelation and Tradition, as His holy Mother Mary has, and as those faithful to the constituted evangelic Tradition and the purity of the orthodox Faith can tell you: the answer to all man's woes is to find refuge in the unadulterated canonical apostolic Holy Sacrifice of the Mass. If more had clung to the traditions and not had itching ears or been gullible enough to believe the lie as St. Paul warned in 2 Thessalonians 2: 3-11, then perhaps we would not be in the dire straits we are in today throughout the world. Think of all those who perished throughout the world last week, from the handful in Boston to several more in West, Texas to well over 5,000 in China, it is not who they left behind that should be mourned, but that they may very well not have prepared their soul. Now it's too late. But not for those still breathing. 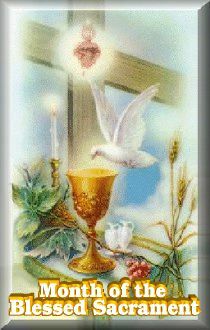 Bishop Mark Pivarunas, CMRI brings us the essence of the Holy Mass and why we must have True Reverence for the Most Blessed Sacrament of the Altar. 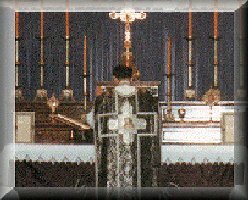 That is the only answer to staying the hand of God from avenging man for his grave offenses against the Almighty from punishing man for the terrible sins that cry to Heaven for vengeance to the scandalous Novus Ordo spawned from Vatican II, which has been to the reason for so many lost souls. 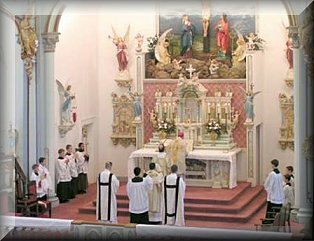 Pray for those still wandering and confused that they will receive the grace to flee the CONciLIAR church and find refuge in the catacombs at the true Mass as His Excellency relates and as is explained so clearly in the Video of the Traditional Latin Mass.